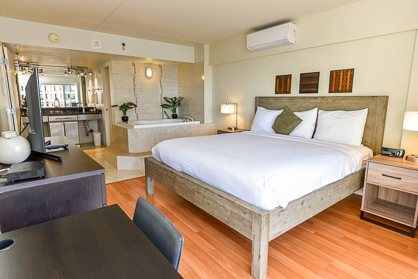 Both bedrooms have their own private full bathroom and 40" Flat Panel TV. 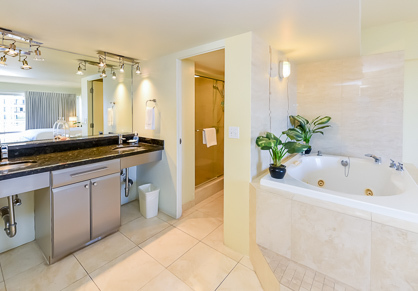 Bathrooms feature imported Italian porcelain showers and granite countertops; while the master suite features twin stainless steel sinks and a romantic 7-jet Jacuzzi tub that overlooks the ocean. The second bedroom has a large sliding solid wood door that can open to increase the living room space or closed for full bedroom privacy. 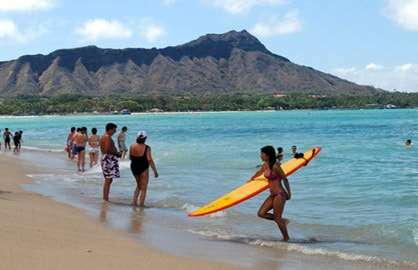 A great get-away for both families and couples. 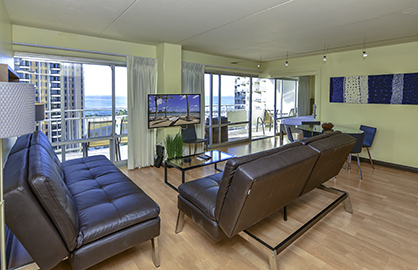 Huge living area with 50" Flat Panel Smart Internet connected TV, full-length exterior glass doors and 250 sq-ft. lanai that overlooks the ocean, lagoon, pools and surfers; great for breakfast as you watch the surfers paddle out or in the evening with a glass of wine. 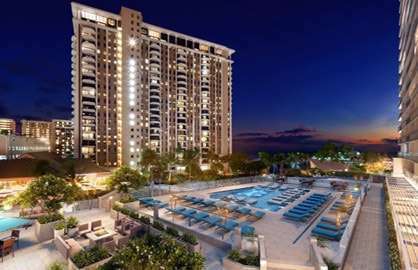 Don't miss out on this great unit with awesome views. 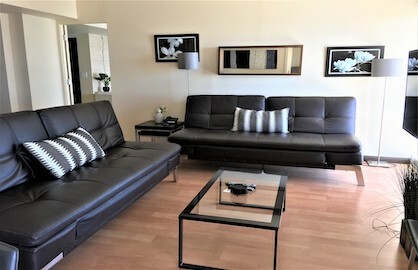 Features include: wood floors with custom porcelain showers, contemporary countertops; stainless steel appliances, high-end contemporary fixtures, new 2018 super quite split air conditioning system, 50" Smart TV in living area and 40" Flatscreen TVs in master suite and 2nd bedroom, wireless internet. 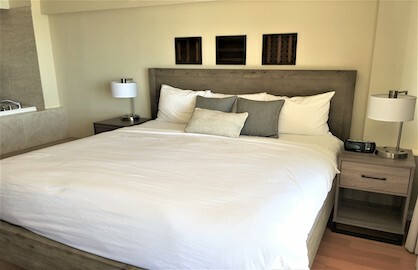 King size bed in master suite and 2 full size beds in second bedroom. 2 sofa beds in living room can convert the living room into a 3rd bedroom. Free Unlimited local and Long Distance Calling included with this unit. Talk all you want and avoid expensive roaming charges by using our phone instead of your cell phone. 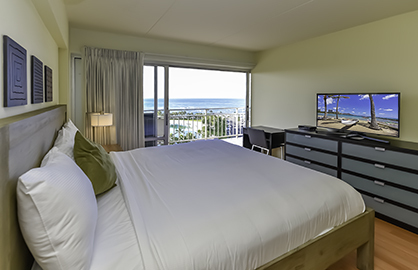 Awesome Views from King Sized Bed! 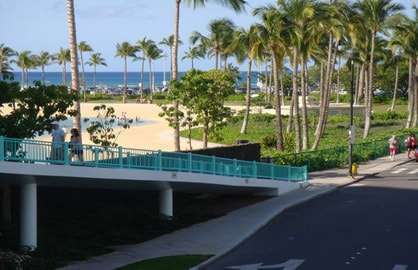 Ilikai 1318 - Stayed in condo 1318 with my husband, 21yo daughter and 18yo son and it was absolutely fantastic! Couldn’t fault it. Was great that the kids had a bed each and that there were 2 bathrooms. 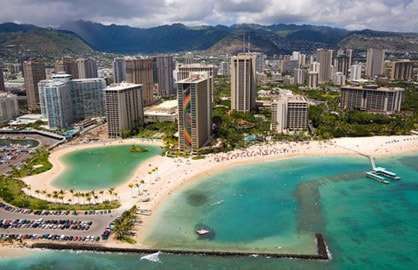 Best views in Waikiki of the Hilton Lagoon and the ocean. 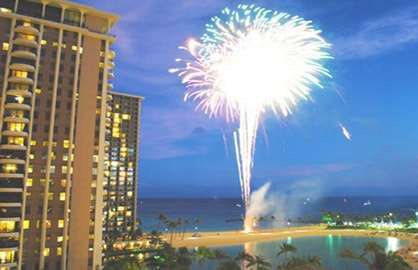 Could even watch the Hilton Luau from our lanai of an evening! Everything you needed was there. Was clean and tidy. 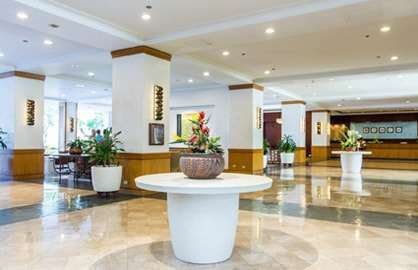 Close to shops and about a 15 minute walk to the centre of Waikiki. Would absolutely stay there again without hesitation. 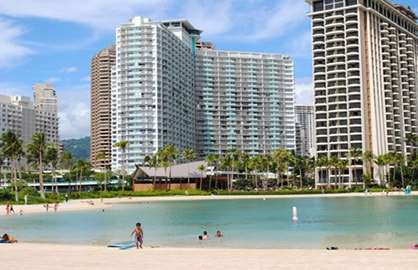 Ilikai 1318 - My family had a great stay in unit 1318. The unit was clean and had everything provided that was in the listing. 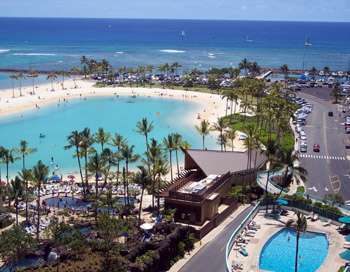 We loved the open views of the lagoon, marina & could see the luau show across the street in the evenings. The late checkout was much appreciated as we could enjoy an extra day before our late flight. 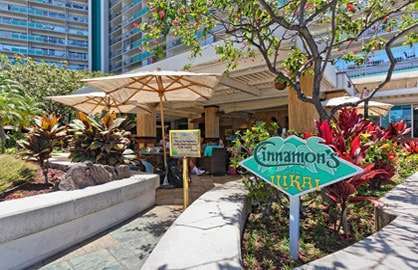 Ilikai valet parking was convenient and easy. Many of the valets were very helpful in giving us directions and tips on places to go. Staying here was definitely one of the best decisions we made to make our vacation truly memorable. 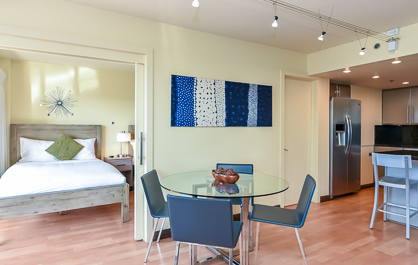 Ilikai 1318 - Lovely unit enjoyed our stay. Look forward to staying again soon. 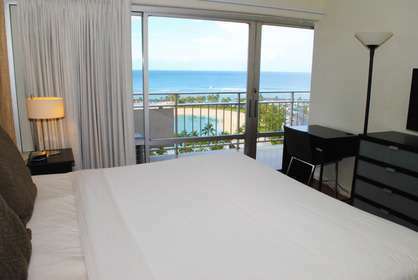 Ilikai 1318 - Great room with a beautiful view at the quietier end of Waikiki - we loved our stay in Hawaii and will definitely return one day. Really great size rooms. 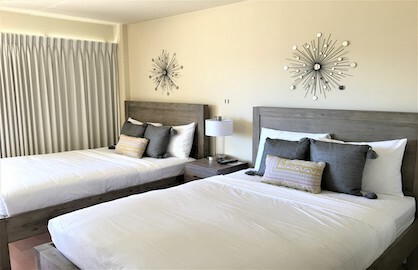 We had a wonderful stay in this Ilikai unit 1318, location, location, location, everything within walking distance and the view was spectacular....we even had front row seats (so to speak) for the Hilton Luau and Fireworks on Friday night.....we only stayed for 6 nights and wished we had a booked for longer. 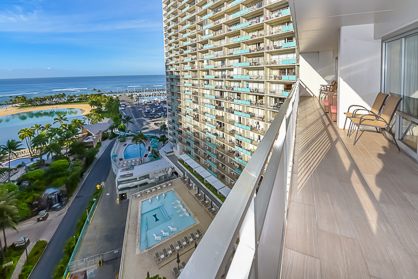 the condo was clean and had everything you would need for a great holiday.....will stay there again next visit if available. 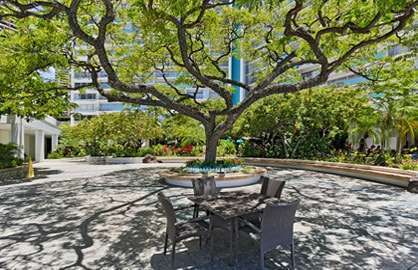 As for the Ilkai Condos the reception area was well manned and very helpful, the parking guys were polite and very helpful....the bar and grill on the ground floor was very nice.....perfect area and lovely people....love Hawaii. Thankyou to the owner for such a lovely condo and wonderful stay. We enjoyed our stay in condo 1318 from Dec 19-23, 2013. It was perfect for our family! The door key code was very easy to use. The unit has everything in the kitchen for cooking. The A/C worked great (must keep the door closed). The beds were comfortable and so was the couch bed. The TV’s were all VERY nice, large and made it easy to relax in all the rooms. 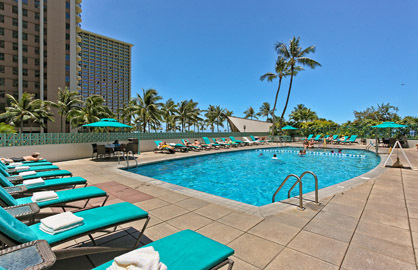 The LANAI was awesome!! The largest I have seen in this building. The laundry was very convenient as well as the trash area. 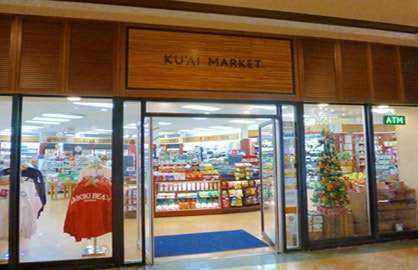 The store was in the main lobby and stays open until 11pm which was great for getting milk or anything we needed. We would very happily stay here again! We had the pleasure of staying in room 1318 from 07/25-07/30/2013 and i must say this was the best decision ever. 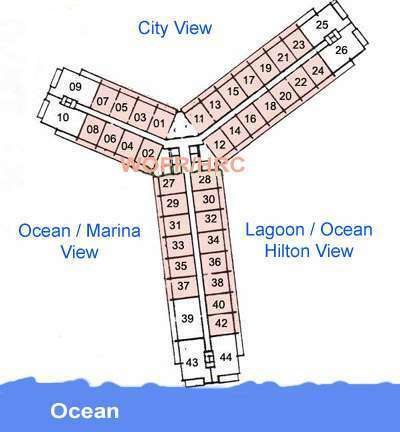 We walked into a well kept living area with a BEAUTIFUL view of the ocean and Lagoon. 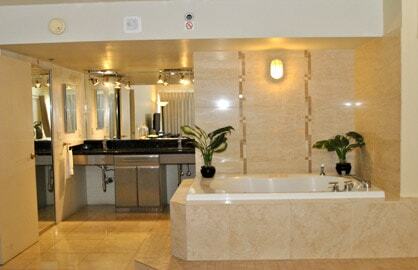 This room had a Jacuzzi tub, 2 showers and a ALL Black kitchen. We purchased groceries and cooked breakfast and dinner. To sit on the balcony and eat breakfast and sunrise and see the ocean put a smile on my face everyday. We will return next year and use 1318 again. I do not want any other room. We loved our stay in condo 1318. 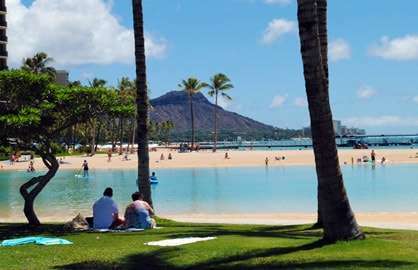 The views are just magnificent, the salt water pool ideal for us and we loved to walk to the lagoon and beach on the walkway. We travelled with our son, daughter-in-law and 6 year old grand daughter and everything inside the unit was perfect for us. Our room and condo could not have been more perfect and we had a wonderful stay meeting our adopted grandson. 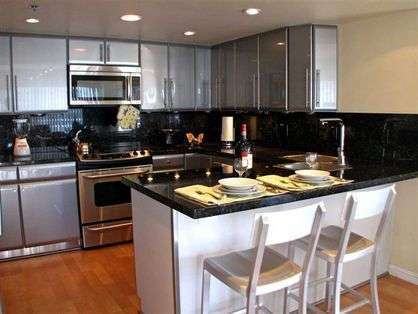 The location was a real plus and both units were clean and modern. I would not hesitate recommending the units to anyone who asks.